Item will have a series of shielding and warding constructs and enchantments bound to its stone. This is one of the most powerful protective items you will come across. This item is touch-activated, so you must be wearing it or be carrying it for it to be effective. 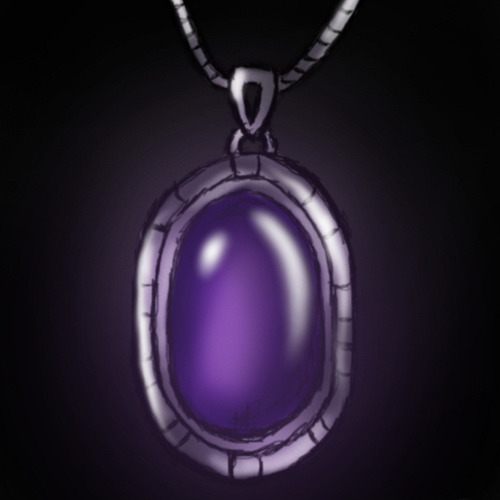 Not only will this item provide an incredible level of psychic defense for you, but its enchantments are 'intelligent', so as you keep it with you, it will help you learn how to defend yourself. It will work with your subconscious to aid you in developing your own shielding and warding skills. The higher your level of natural telepathy, the more effective it will be at teaching you.